A photo taken recently shows where Glenn Road will be realigned. Starting Monday, June 22, Glenn Road will be closed between Mill Run Crossing and routes 36/37. In recent weeks, contractor Double Z Construction has been excavating and preparing the site for the project, which is expected to be completed in October. This construction project is at the northernmost section of Glenn Road. Work was also done in recent years on Glenn’s southern section at Peachblow and Cheshire roads. The work is part of a larger Glenn Parkway extension project, which city officials hope will eventually link up parts of Delaware. 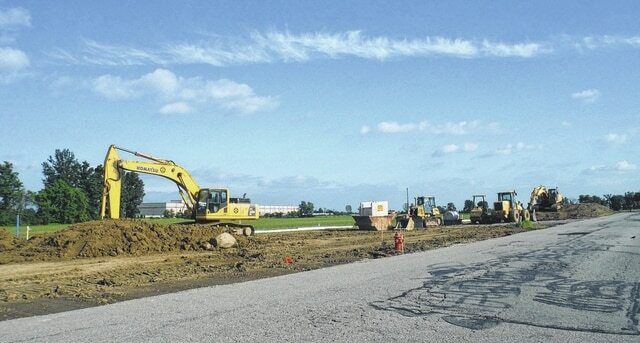 However, as indicated in a recent joint meeting between City Council and Delaware County commissioners, the extension won’t be completed by the city any time soon. He said that since 2000, there has been interest in putting in large-scale housing developments in that area, but it has yet to happen.